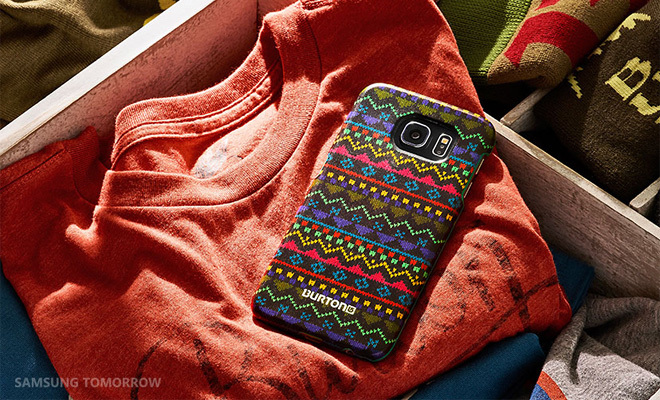 Samsung rounded up a selection of popular designers and luxury companies to create exclusive cases for its beloved Galaxy S6 and Galaxy S6 edge flagships. Swarovski, Montblanc, Romero Britto, Rebecca Minkoff and Burton were tapped to produce signature designs. Fair warning – your sense of good taste might feel a little dizzy. Romoro Britto gave a short interview, describing how the bold, colorful design of the Britto case came about. “My art brings a feeling of happiness, love joy and passion,” he says. If you haven’t heard of him, Britto is an international pop artist, his signature visual language includes vibrant colors and expressive imagery. 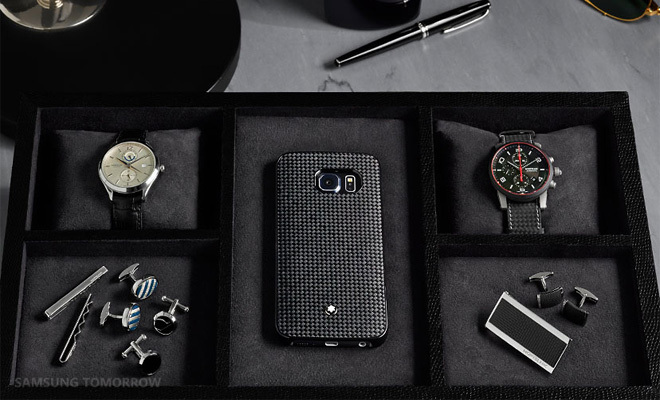 Then there’s Montblanc, returning after partnering with Samsung on the Galaxy Note 4 S Pens. It designed a collection of leather-made cases flip covers to be made in Italy. 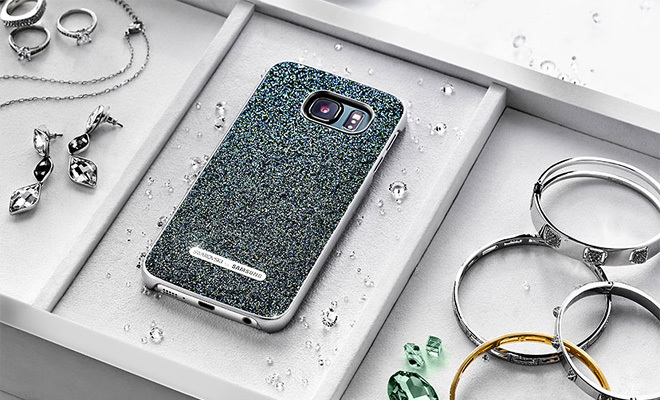 Swarovski has partnered with Samsung many times before and it did what Swarovski does – it doused its signature crystals all over the back of the Galaxy S6 and S6 edge. Rebecca MInkoff is best known for her luxury handbags, accessories, footwear and apparel. 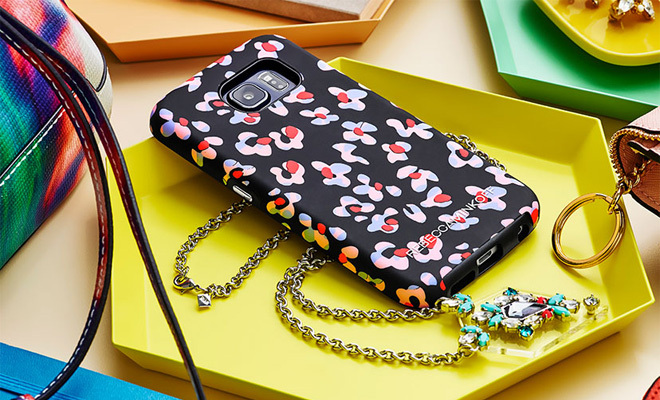 She made “subtly edgy” flower print covers and leather pouches for the flagship duo. Then there’s Burton leans on its influence in the snowboarding culture and bases the protective covers on two of its most popular print designs. Well, you made it this far, I’ll take that to mean you find these designs attractive. If you want to know more about them you’ll need to consult the Samsung Galaxy S6 Accessories app (yes, there’s a whole app for S6 accessories).